Tears Foundation (TF) is a young organisation which was set up only three years back. TF’s objective is to provide aid to physically and mentally challenged individuals residing in Mumbai. However, TF has been involved in various other charitable purposes sponsoring mid-day meals, children’s education, computer training sessions, awareness drives, etc. Sector & Positioning: TF is a volunteer driven organisation. It is the only non-profit working for the needy in the slums of Wadala and Nalasopara. So far, TF has organised various food distribution drives, awareness campaigns, surveys, thematic events, etc. benefitting various target groups. Leveraging on the founder’s local contacts, the organisation has been able to garner interest among the beneficiaries, local police, and a few donors. Impact / Outcome: Since inception, about 150 children, 24 youth, 300 families, and 60 patients diagnosed with leprosy have benefitted directly through TF’s programs. TF conducts awareness campaigns on Female Infanticide, Child Rights, Right to Education, Sanitation & Hygiene etc. Since the frequency of events is low (once every six/nine months in most cases); it is difficult to assess the impact made by TF volunteers. TF has a lot of scope to improve on developing its impact/outcome assessment matrix. 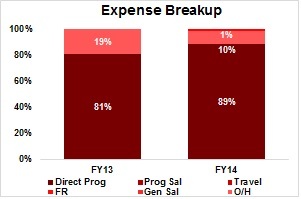 Financial Performance: TF recorded an increase of 17x YoY in total income in FY14 with 89% spend on beneficiaries for the same period. 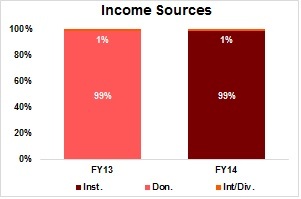 During FY14, TF received institutional support, boosting its financial growth. So far, TF has incurred zero expenses on salaries and fundraising, as the founding members are working at the grassroots themselves. 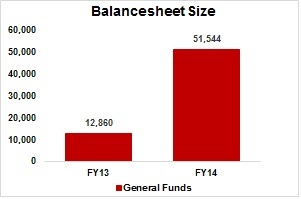 The average annual spend per beneficiary in FY13 and FY14 was Rs1,200. TF has also received donations in kind (computers, stationaries, food packets, etc). It is interesting to know that in a short span of two years, TF has been approached by corporates like Shubham Logistics and Life Insurance Corporation of India to implement their CSR projects. Despite the healthy YoY income growth rate and impressive efficiency levels, it is too early to comment on the organisation’s sustainability. Corporate Governance & Reporting Standards: Founding Member, Mr. Ranjit Chekhalia is a Chartered Accountant by profession and has volunteered on a few disaster relief assignments prior to starting TF. He is actively involved in the operations and the fundraising activities. The Board comprises of 7 individuals; the Founder and the Treasurer are related. Other members are childhood friends/relatives, residing in the same locality. As yet, no board rotation policy has been introduced. None of the Board Members receive remuneration. Regarding reporting standards, TF’s audited financial statements don’t highlight details of income sources and nature of expenses incurred. Major Challenges: Lack of Focus. TF has offered a wide portfolio of services, on an ad hoc basis to the underserved people dwelling in the slums of Wadala; thus deviating from its mandate of serving physically and mentally challenged individuals. From a long term perspective and a pressing need made by its growing donor community to assess the impact/outcome made, it is essential that TF align its programs with organisational objective. Cost Per Beneficiary (Rs) 53 1,323 N.A. N.A. N.A.